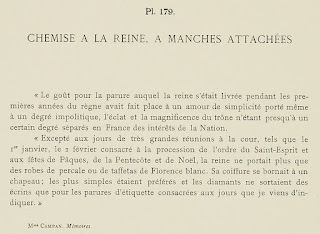 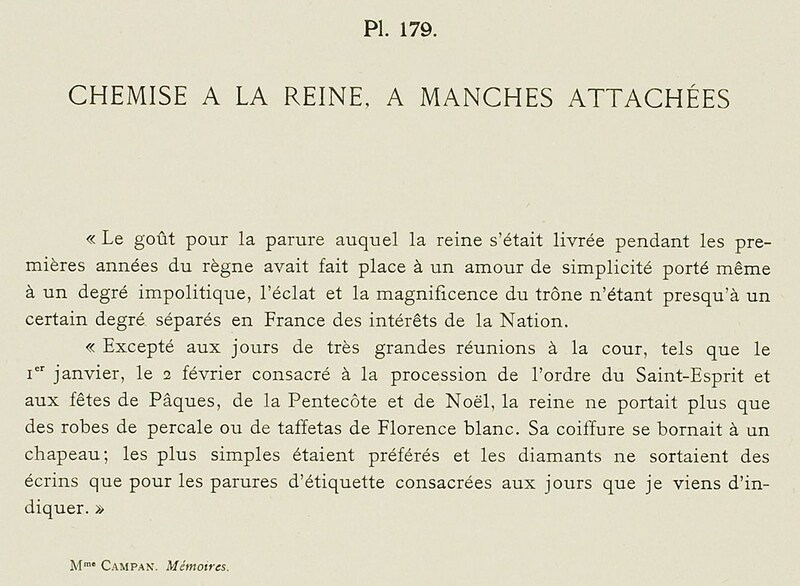 "The taste for the parure in which the queen was dressed during the first years of her reign had been replaced by a love of simplicity worn even to an impolitic degree, the splendor and magnificence of the throne being almost to a certain degree separated in France from the interests of the Nation. "Except on the days of the very great assemblies in court, such as January first, February second (devoted to the procession of the order of the Saint-Esprit), and the feasts of Easter, of Pentecost, and Christmas, the queen no longer wore gowns of percale or white Florentine taffeta. 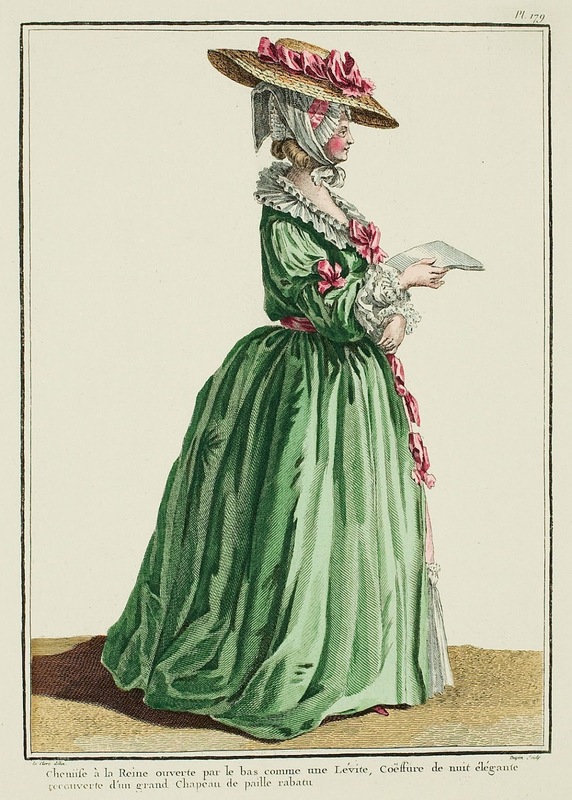 Her coiffure was confined to a hat: the simplest were preferred and diamonds were only taken out of their caskets for the parures which belonged to the days that I indicated."